Dan brings over a decade of big firm experience to KMFY, having represented start-ups to public companies and everything in between. Dan's practice focuses primarily on helping business clients navigate the litigation process, with an approach geared towards helping the client realize the largest net recovery or the lowest aggregate payout. Dan has litigated cases involving a variety of subject matters, including commercial disputes, business-to-business collection matters, real estate litigation, employment litigation, intellectual property disputes, and cases involving requests for immediate injunctive relief. Dan has litigated cases in state and federal courts across the country and has served as lead national outside litigation counsel for financial services group Fortune 20 company based here in Ohio. Where necessary, Dan represents judgment-creditors in actually collecting the award issued by the judge or jury, including handling bankruptcy and foreclosure proceedings. Dan worked in the corporate/M&A arena prior to the 2008 recession and still assists with commercial transactions from time-to-time. He also serves as general outside counsel for small and mid-size business. 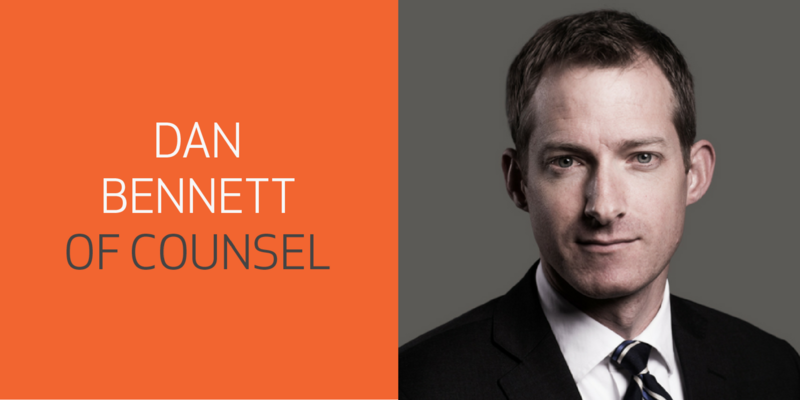 Prior to joining KMFY, Dan worked at a boutique law firm specializing in representing companies in the supply chain.